Back in the 1960s America and Britain went through a massive passion for all things horrific. 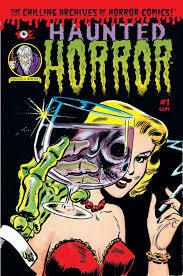 In fact, it lasted from around 1957 to 1972, according to the new book ‘Monster Mash’ by Mark Voger. It started in America with midnight movie hosts like Zacherley and Vampira (which we didn’t get in the UK) and ended when horror burned itself out after going mainstream. Pre-internet, it’s interesting how much of the craze was interactive. There were horror sound effects albums and projectors with 8mm films, masks, outfits, playing cards, toys, posters, soap operas, hot-rod paint jobs and best of all, customisable model kits from Aurora (I had every single one and still have the fully working guillotine – download slo-mo here!). 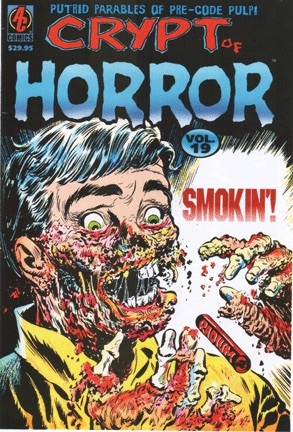 Horror comics weren’t just about the notorious EC comics, which brought Ray Bradbury and Edgar Allan Poe to many children for the first time, along with the ire of the idiotic Dr Fredric Wertham, who protested the purportedly harmful effects of violent imagery in mass media and comic books on the development of children. The social panic he created in middle America resulted in the censorship of these wonderful, lunatic comics. The success of ‘Godzilla’ created many imitations. 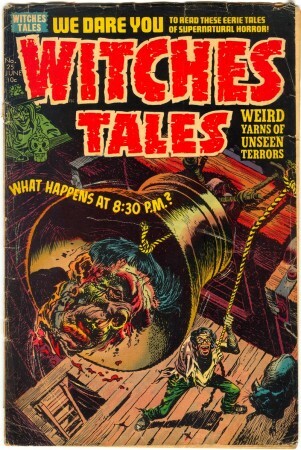 Artist Jack Kirby came up with a host of ridiculous giant creatures including Grogg, Orrgo and Gorgilla, suggesting he was only working with part of the alphabet, and comic books Eerie and Creepy took over from the job EC Comics had started, telling horror stories in cartoon form for a new generation. TV shows ‘The Munsters’ and ‘The Addams Family’ were unfunny and unscary, but there was something charming about them. By the time breakfast cereals included Count Chocula and Franken Berry the craze was over. Voger’s book and others, notably ‘The Horror! The Horror! Comic Books the Government Didn’t Want You to Read’ by Jim Trombetta and R. Spiel recapture those strange days when children’s minds were filled with gruesome images, to no discernibly harmful effect whatsoever. If anything, they inspired a new generation of writers and artists. This might be just the place to ask about a TV series I vaguely remember from around 1990. It was a late-night horror-movie show on British TV (probably ITV or Sky). It was introduced by a comically inept vampire guy in Dracula-style costume, and a big-blonde-haired femme fatale in a slinky red dress. The show was English, although most of the films they showed were American. Never mind – I’ve looked for it before without success, but I’ve just tried again and got it. It was the Deadly Ernest Horror Show, and it was on Sky. I got into horror in my teen years watching the old black and white horror films, and hammer films.By the way Chris,there is a good early review of Strange Tide on the net. ‘The Deadly Ernest Picture Show’ AKA ‘Friday Night Fright’. Yep – cheers. I had one final search for it earlier, and was successful. My comment about it is awaiting moderation at the moment, probably because it includes a link. Thanks Chris (once again) that’s me watching “The Munsters” all afternoon ! 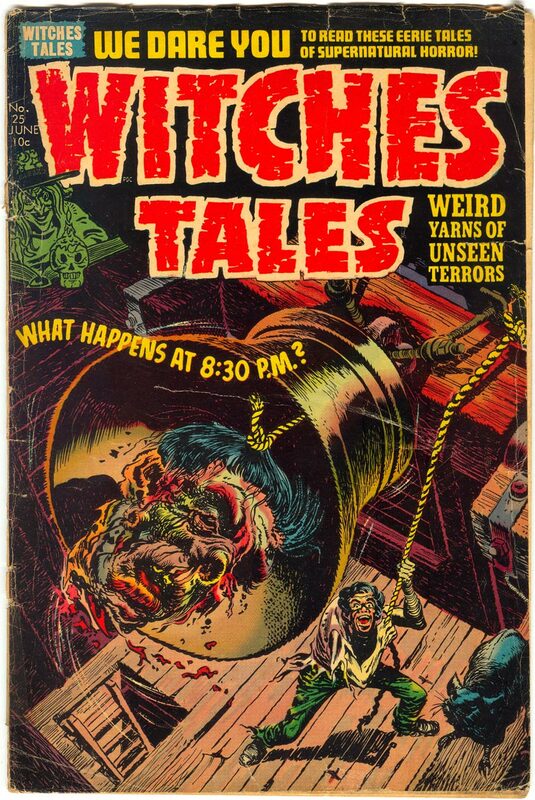 Maybe you’re already aware of it, but ‘the Weird World of Eerie Publications’ by Mike Howlett is a brilliant book about Myron Fass’ crass horror comics from the 70s, it’s a great read even if it falls outside the time frame of the craze. Also, Craig Yoe’s various IDW reprints, as books or comics, are a treasure on par with PS Arbooks’ hardcover volumes.